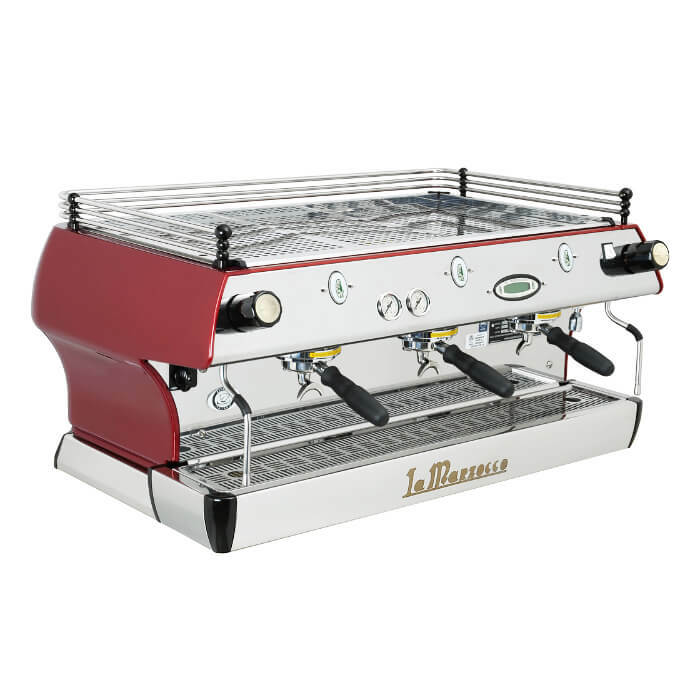 La Marzocco Linea Classic Espresso Coffee Machine A specialty coffee icon that never goes out of style. 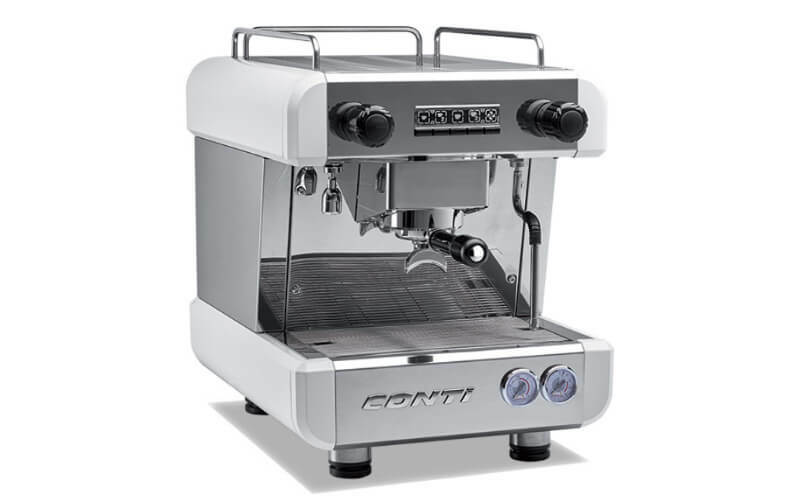 An ideal workhorse for high-volume cafés. 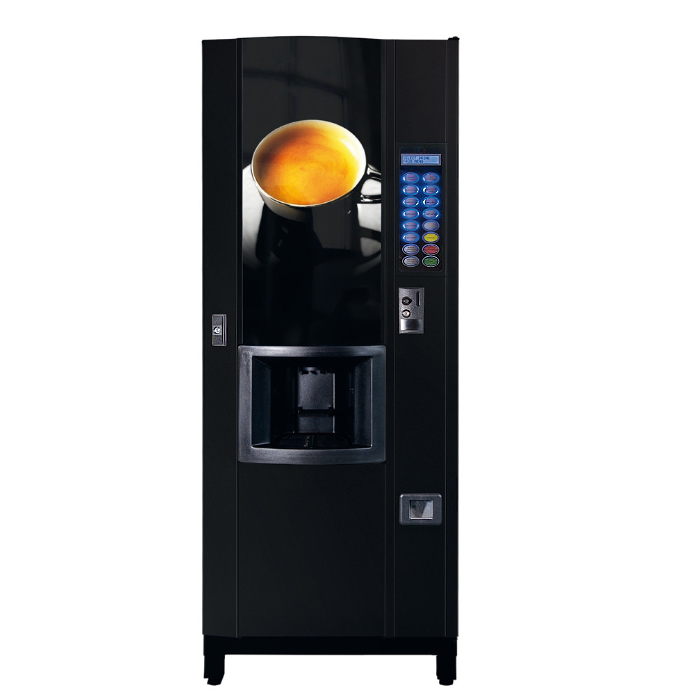 Features include: Dual Boiler System. PID Temperature Controller. Insulated Boilers. Saturated Groups. 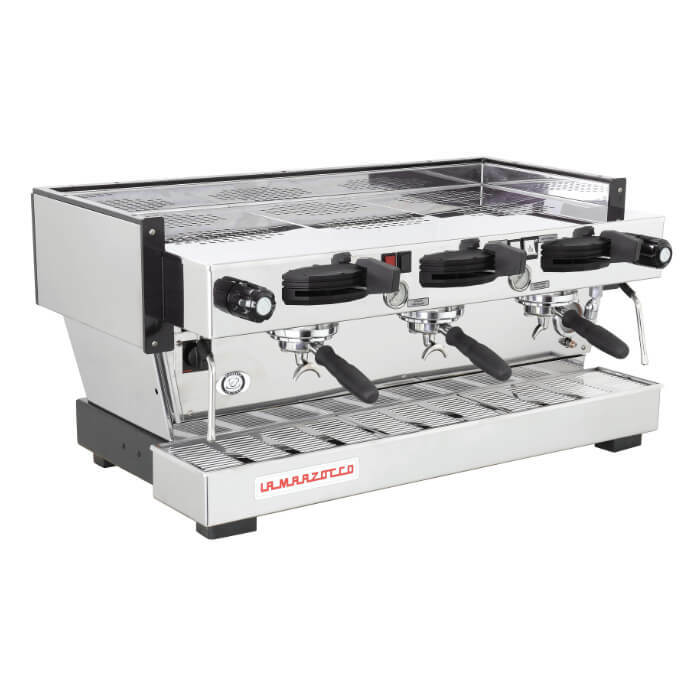 La marzocco FB80 Espresso Coffee Machine The FB80 reflects La Marzocco’s pursuit of perfection, and expression of excellence. 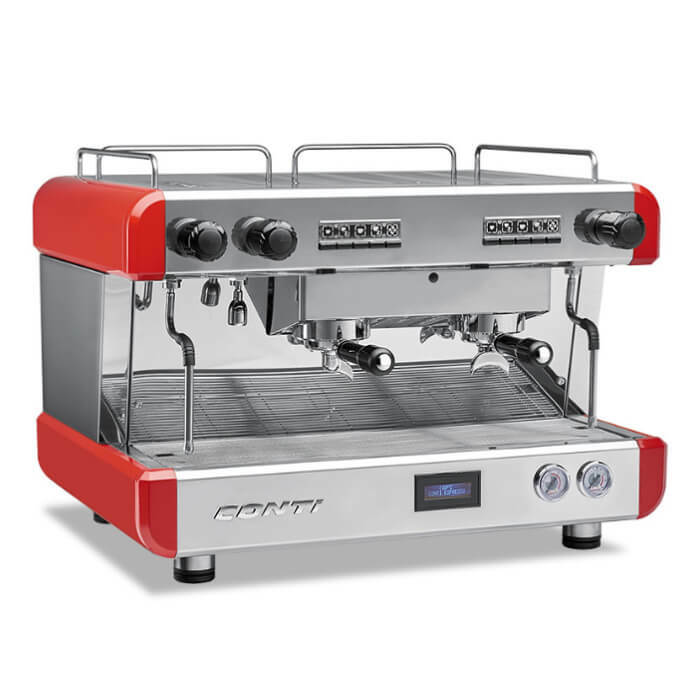 Features include: Dual Boiler System. Saturated Groups. 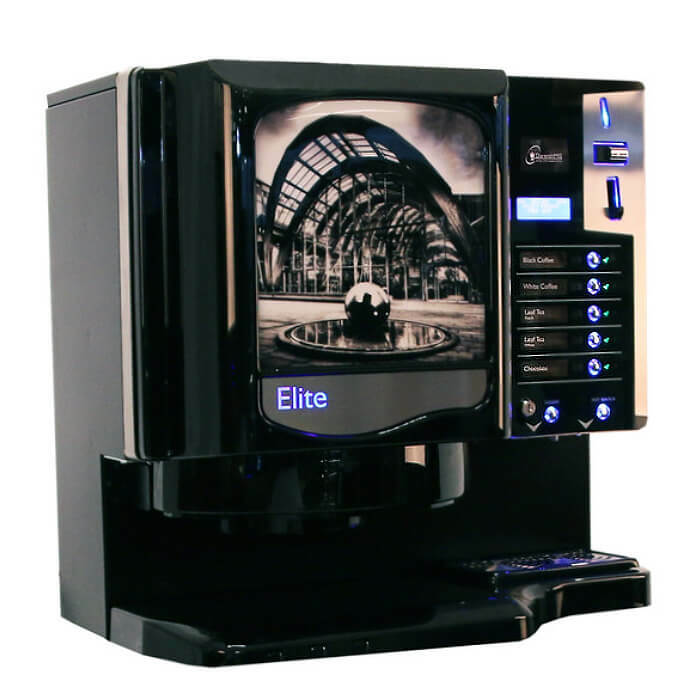 Dual PID (coffee & steam). Auto Back-flush Program. 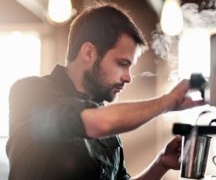 Pre-heating System. 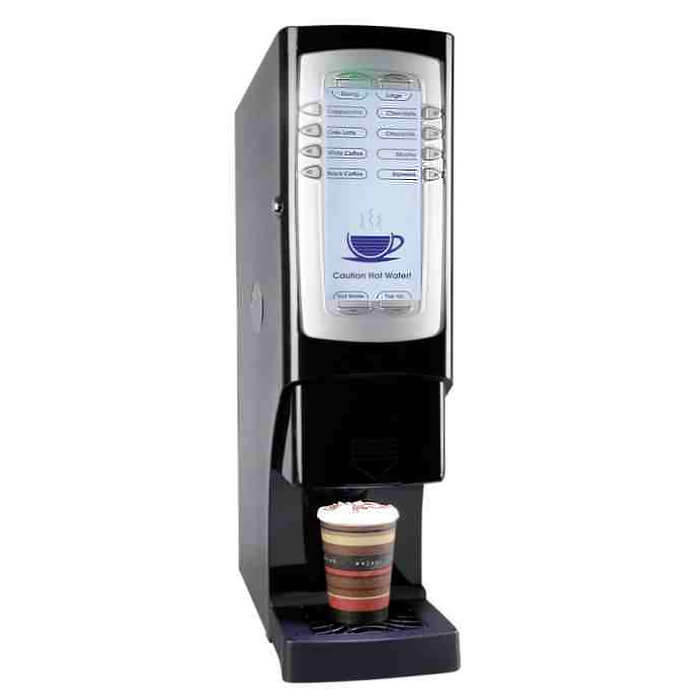 Zen Bean To Cup Coffee Machine Designed to suit any environment, Zen has a compact footprint finished in stunning ebony gloss. 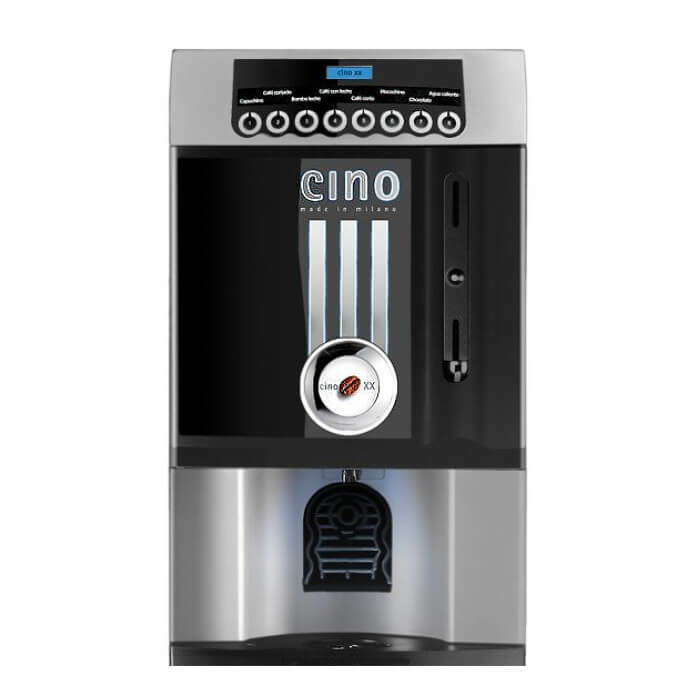 Features include: Choose from up to 8 drink options. 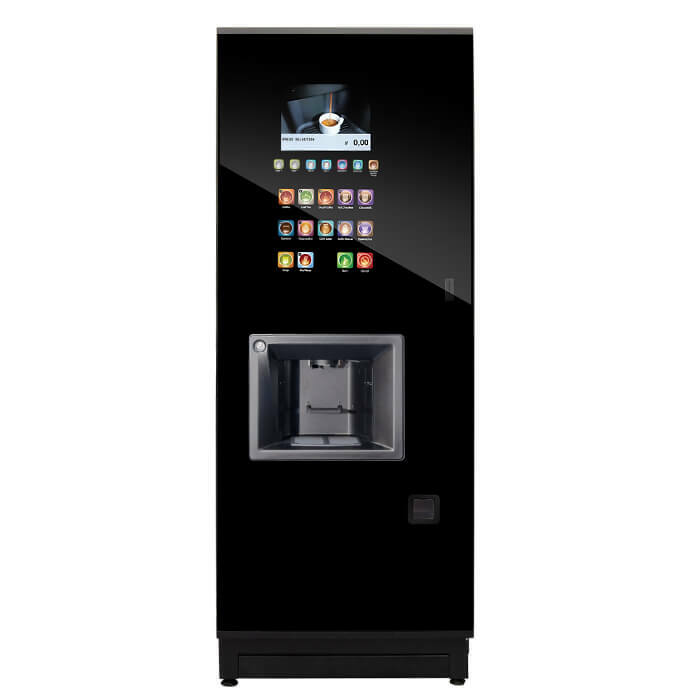 One touch self cleaning system. 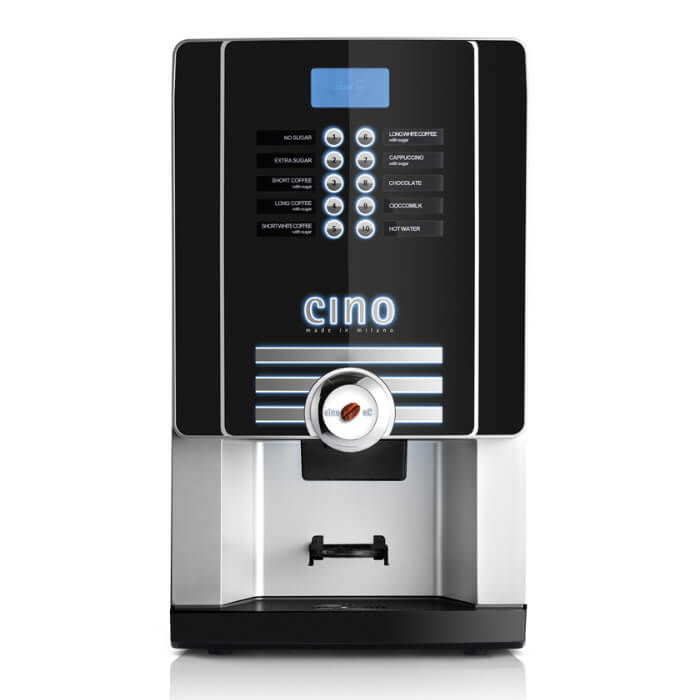 Rhea Cino eC The Cino eC Bean to Cup Coffee Machine provides high-quality hot drinks, ideal for small offices & hotels. 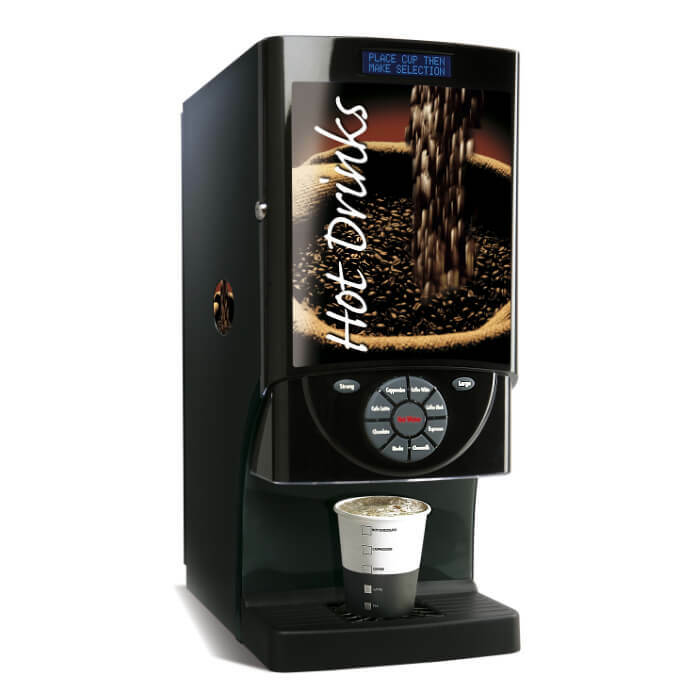 Features include: Choose from up to 8 drink options. 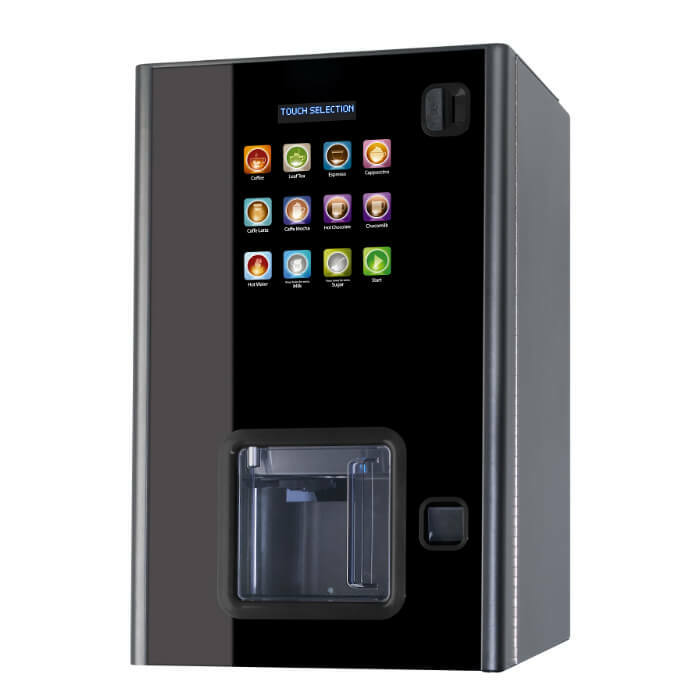 One touch self cleaning system. 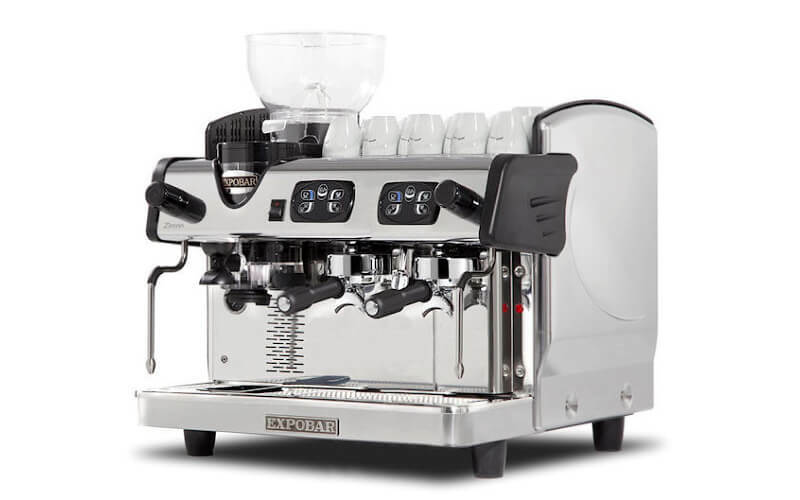 Expobar 2 Group Zircon Integral This Compact yet powerful 2 group espresso machine has a 11.5 litre boiler and one hot water spout. 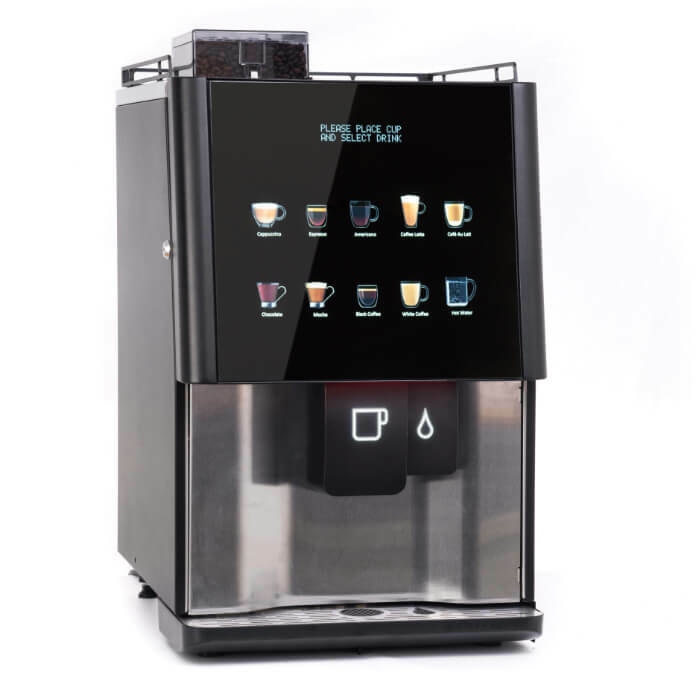 Features include: Make 4x cups at the same time. 4x program modes.